Major League Baseball teams have been working hard these last couple of years to get better, faster, stronger and greener. 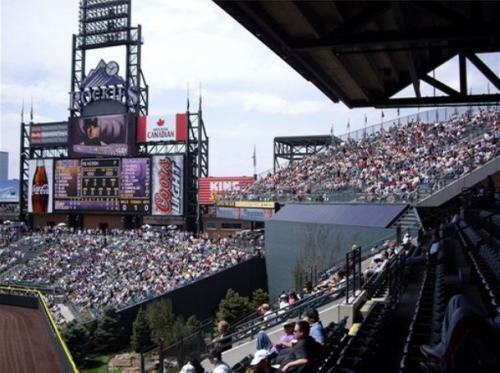 In the spring of 2008, the MLB and NRDC partneredup to help major league teams become more sustainable, waste less, reduce energy use and educate their fans. The new effort is due to a number of interwoven factors, like concern for the environment, money savings, and a sense of responsibility to to their fans. Major League players and teams have hero status anyways, so it’s no surprise that many teams are proving to be excellent examples of eco-warriors. In 2008, NRDC set up a division of their organization to specifically help professional teams help green their organizations. NRDC’s Team Greening Advisor was developed as a customized guide for teams to implement eco-intelligent practices in their home towns. The guide goes beyond recommendations for changing out light bulbs – it also details ways to reduce waste, conserve water, educate fans, interact with the community and get people to the games on mass-transit. Since baseball games have a huge carbon footprint due to all the energy and waste they produce, these changes are making huge impacts. Do you know what your favorite team is doing? Here’s a roundup of a few of the teams’ green efforts. Washington Nationals – This team has a upper hand over the rest of the them, with anew stadium that is LEED Silver certified. It has a green roof over the concession area, water saving urinals, stormwater infiltration and many energy efficient systems. 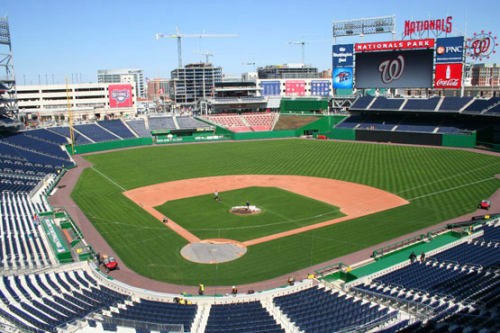 Located very close to DC metro stations with an impressive recycling program, the Nationals Stadium is the greenest in the country. Pittsburgh Pirates – The Pirates started off their green efforts with their “Let’s Go Bucs. Let’s Go Green” campaign plastered everywhere around the stadium and especially on their recycling receptacles. 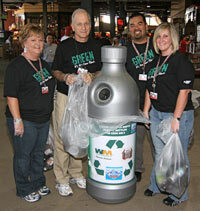 In fact, in 2008, the Pittsburgh Pirates recycled 5,913 pounds of aluminum cans, 33,547 pounds of plastic. The Pirates Let’s Go Green page on their website details all of their current efforts. Seattle Mariners – Joining forces with Cedar Grove Composting, the Mariners have started a program to compost their waste and have switched their food service items to compostable products and are aiming to become the first zero waste team. They also have implemented many projects to reduce energy use, have a recycling program, and they offset some of their carbon emissions with Native Energy. Boston Red Sox – The Red Sox along with the Colorado Rockies have installed a solar system in the stadium to generate power. The Red Sox’s system displaces 37% of their gas energy usage to heat water. They have also implemented a strong recycling program, with a team of people who go around the stadium collecting recyclables. Houston Astros – The Astros have a lot green initiatives underway, like tree plantings, equipment that runs off biodiesel, recycling and education programs, use of eco-friendly fertilizers on the field and composting of grass clippings, water monitoring devices for the field, and much more. Each year they add to their list of initiatives at Minute Maid Park and even have their players Hunter Pence and Geoff Blum as a spokesmen for their environmental projects. St. Louis Cardinals – The Cardinals also have a strong list of green initiatives, including biodegradable concession items, a recycling program with a dedicated team who picks up after games, 100% recycled content toilet paper, and green cleaning products. The Cardinals are also an EPA Energy Star Partner and are working towards developing an energy efficiency plan. There are many other teams who also have some impressive green iniatives. Check out the MLB Team Greening Page for updates and links to your favorite teams green page.